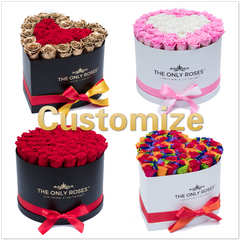 Our Huggy Box takes our signature arrangement and makes it more stunning with an elegant, tall box that really shows off our long-stemmed preserved roses. 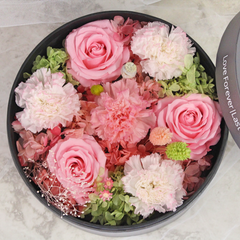 What makes this box even more special are the golden roses that spell out the letter ‘E’ in the center. 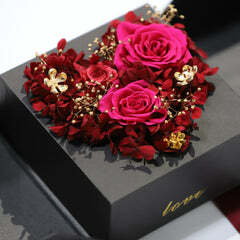 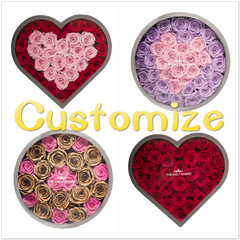 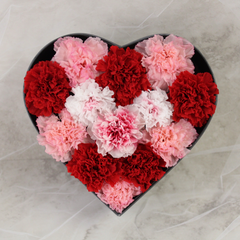 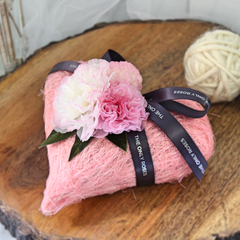 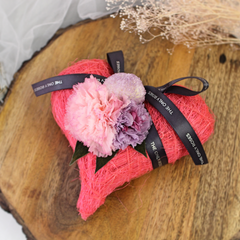 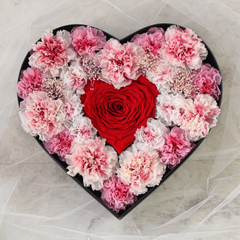 Send your sweetie all four Huggy Rose Boxes together to spell out L-O-V-E and you’ll make an incredible impression. 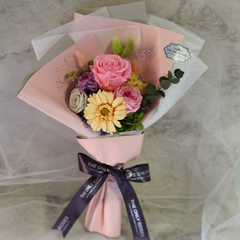 These stunning boxed bouquets feature only the best buds plucked from our partner flower farms in Ecuador and carefully arranged in a sturdy box that looks oh-so-classy in black and wrapped in ribbon and bow. 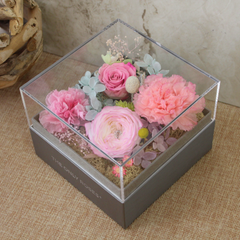 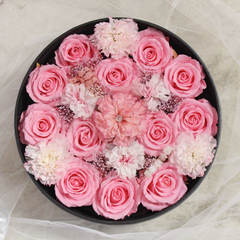 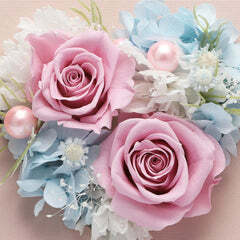 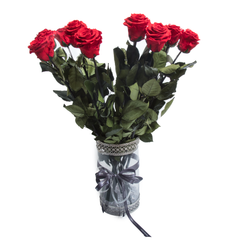 Our medium round box is guaranteed to include 31 to 333 preserved roses, each one at least 2 inches in diameter. 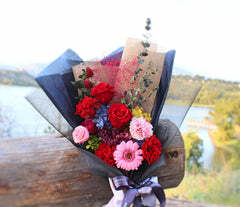 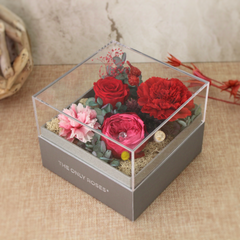 We’ve specifically designed our boxes so that the bouquet can be seen beautifully without a cover, making them giftable right away without requiring additional decoration.